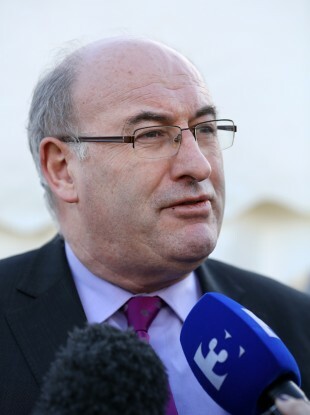 ENVIRONMENT MINISTER PHIL Hogan has outlined what he claims is the most radical reform of local government in over a century. Publishing the Local Government Bill today, the Minister said the system of local authorities is being “changed to one that is relevant for modern Ireland”. “With this bill we intend to build a better, stronger, more efficient, more responsive and more accountable system of local government,” Hogan said today. Under the main measures of the bill, which were previously announced, a total of 80 town councils will be abolished with the overall number of councils operating in Ireland going from 114 to 31. Around 137 municipal districts will be introduced for the same number of local electoral areas with elected councillors “working directly for the interests of their communities” according to Hogan. Four city and county councils in Limerick and Waterford and councils in North and South Tipperary will merge. The number of councillors in the country will drop from 1,627 to 949 but Dublin is one area where the numbers will go up by 53. The changes will allow for savings between €40 and 45 million, Hogan said, in addition to over €500 million which he claimed has been saved through local government efficiencies in recent years. The bill allows for the creation of the post of chief executive to replace a county or city manager. This person, who will have a seven year term with the option of an extra three years, will be accountable to elected councillors and will require the approval of councillors before taking up the post. There will be a devolving powers to local authorities including discretion to vary the local property tax by January 2015 by plus or minus 15 per cent. Over 20 additional reserve functions are being assigned to the new councils including “a role in local economic development” according to Hogan who also said that councillors will for the first time have a clear outline of what powers they have. A National Oversight and Audit Commission will monitor and assess local authority performance. The bill also contains a provision to hold a referendum for an elected mayor which is currently the subject of a consultation process by the four local authorities in Dublin. It is anticipated that the bill will be passed by the Oireachtas before the end of the year with the changes coming into effect after next May’s local elections. Email “Hogan unveils 'the most radical reform of local government in 100 years'”. Feedback on “Hogan unveils 'the most radical reform of local government in 100 years'”.